The franchise industry in the UK continues to grow with sales now reaching over £15bn, and the success of franchise organisations providing quality social care is creating huge opportunities for the market. 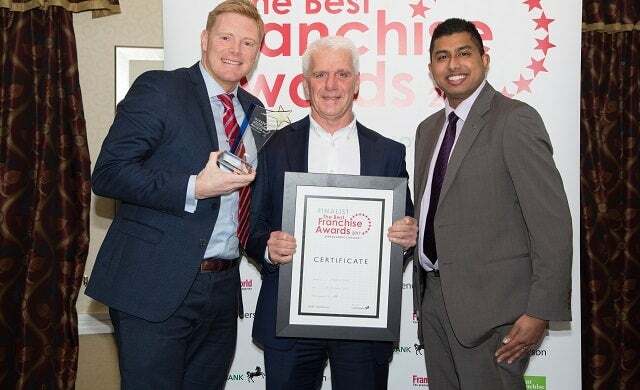 As proof of this, Right at Home UK – the homecare franchise – has won the award for the UK’s Best Management Franchise at the Best Franchise Awards for a second consecutive year, based on the quality of support given to its franchise owners and the growth of the business, which delivers quality care to those in need. Right at Home UK succeeded over multi-national brands including quick-service restaurants, retail and childcare specialists, and fellow quality homecare providers to win the title. Established in 2010 by Ken Deary, having experienced first-hand the difficulties of finding good care for an immediate family member, Right at Home UK is one of the country’s leading homecare providers and has a 9.6/10 rating on independent review site homecare.co.uk. A former franchisee for McDonalds, Deary has grown Right at Home UK to more than 50 offices providing care services to the elderly and adults over the age of 18 with physical disabilities, and learning disabilities. Right at Home franchise owners provide support on a short-term or long-term basis ranging from an occasional hourly visit through to 24-hour live-in care, seven days a week. For those interested in joining the award-winning franchise, initial franchisee fees cost £31,995 + VAT. This enables you to run your own homecare business; gaining access to the Right at Home franchise system, a business planning service provided by an independent broker, a 10 year-agreed franchise territory, and a start-up package for training and set-up. “We are absolutely delighted that the support we provide to our franchisees has been recognised with this award success. To find out more about Right at Home UK’s franchise opportunities, click here. For more information on the franchise industry and an introduction to franchising, view our guides here.